You don’t need to figure it out by yourself. Use these proven ideas. If you’re looking for the practical “how to” for developing systems in your church – you’re in the right place. In these Healthy Church Systems ebooks you will find clear, simple plans to develop each major system in your church. These ebooks won’t take long to read, but they are packed with proven ideas that will help you develop effective systems to grow a better, bigger church. Convert first-time guests into members with this comprehensive and practical assimilation system. The 7 elements of an excellent welcoming system. The 3 actions to get second-timers to return. The 1 vital event to make members out of third-time guests. Every guest is a gift from God! Your most important goal with newcomers is to get them to return, and then return once again until they give their lives to Jesus, connect with others, and become actively involved members. Learn more about this popular ebook here. Strategically reach into your community, leveraging the strengths of your members, and the seasons of the year, to attract people to Christ and to your church. The 3 most important principles in becoming effective fishers of men. The 6 proven strategies for reaching your neighbors. The 5 target times of the year that are most effective in attracting unchurched people. This ebook will equip you to excel in attracting newcomers, particularly the unchurched, to your congregation. 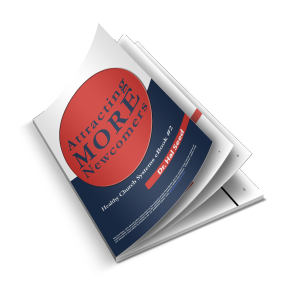 Discover more about Attracting More Newcomers. You can organize a seamless financial system in your church that moves people from non-givers to generous givers. The 3 central benefits of a fully developed financial system. 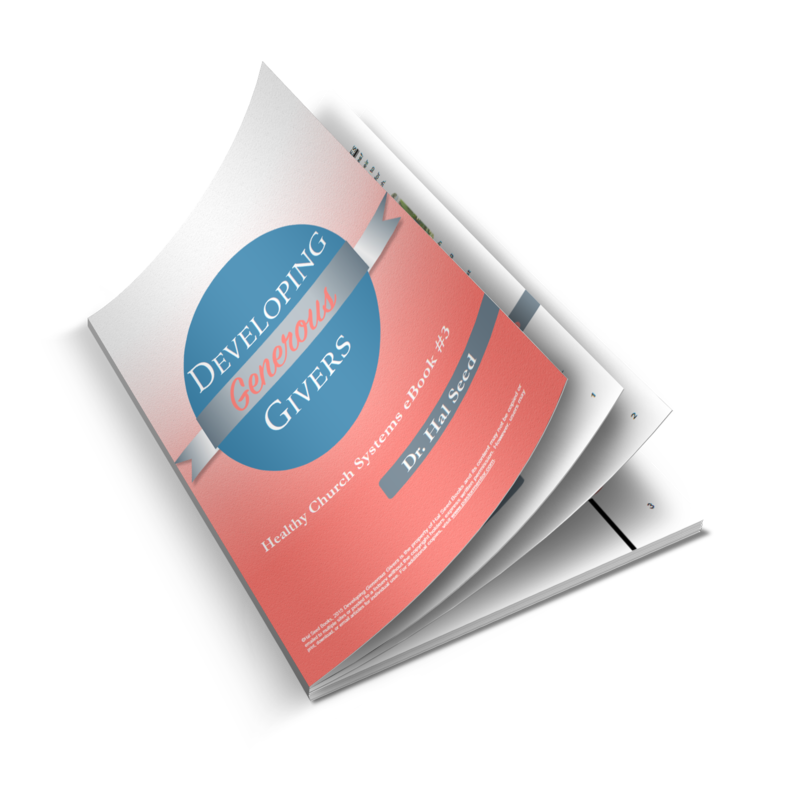 The 5 types of givers in your church and the 5 different reasons people give. The 10 ways to help your church reach its full giving potential. 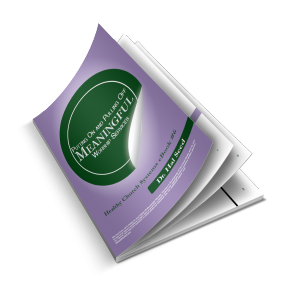 If you’d like to learn how to raise the financial maturity level of your members, increase your ministry budget, and monitor that budget effectively, this ebook is for you! You may have found it difficult to teach people how to to begin growing in their relationship with Jesus – and how to continue growing. This resource will show you how you can outline a spiritual growth path tailor-made for the size, resources, and personality of your church. If you’d like to learn an effective, proven, scalable church-wide system for discipleship from new believer to mature saint, this ebook is for you! Learn more about this powerful ebook here. The 6 ways to enlist new volunteers. The 9 steps in a healthy inviting/recruiting process. The 8 inviolable principles of healthy ministry placement. A “ministry career path” for each volunteer. The 3 types of training every volunteers needs. 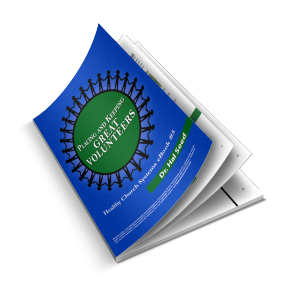 If you’d like to learn how to invite, observe, orient, schedule, equip, develop and celebrate the volunteers in your church this ebook is for you! Learn more about getting great volunteers. Forge a worship planning system that harnesses the best of you and your team. The 3 essential elements of a great worship planning system. The 5 critical questions that must be answered in a compelling sermon. If you’d like to learn how to improve your sermons and worship services while saving yourself time, this ebook is for you! Learn more about Worship Service Systems here. 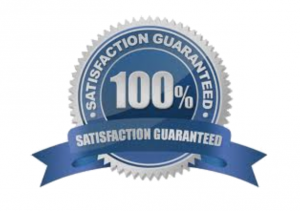 Guarantee that you have a system that gives every attender the care they need – when they need it. The 3 components of healthy church’s care system. The elements that cause people to “stick” to a church. The 5 crucial principles of care. How small group leaders can become your church’s first line of care. 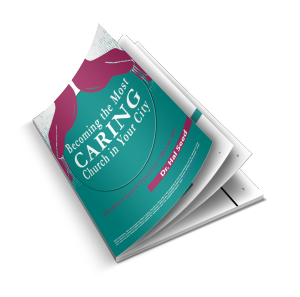 Discover how to be the most caring church. Everyone who attends your church is evaluating it. 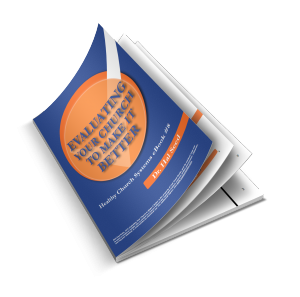 Shouldn’t you evaluate, too? Just as the wise farmer continually evaluates his crops for the best possible harvest, so we must keep in sight the 5 most important things to evaluate to reap the greatest harvest in our churches. The 7 questions to ask after every important event. Sample agendas for super-productive two-day Board and Staff evaluation retreats. If you’d like to learn how evaluate and improve the health of your church, this ebook is for you! Learn about this important ebook. Teach people to be generous. Free up money for ministry. This resource lays out 20 perfectly-timed steps to lead your church in the perfect Christmas offering beginning with your September 15 decision of what to fund and ending with your February 1 evaluation of how it went. 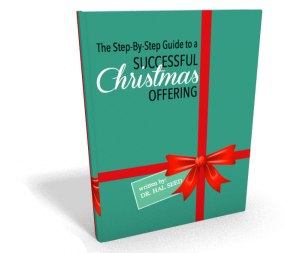 Learn More about having a successful Christmas Offering. Would you like to be sure you’re setting the best possible goals? And what if you could be confident that those goals were from the Lord? And achievable? You’ll get a practical method for setting goals that will help you to accomplish what is important for ministry leaders – and have a better pace of life at the same time. 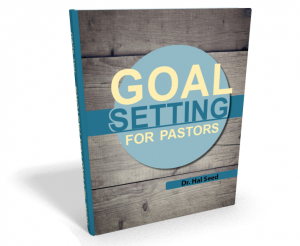 This is the tool you’ve been looking for to be a world class goal-setting, goal-accomplishing pastor. See how to set goals.